Last year in early June, my old garden was blooming well. Sweet Williams had taken over a corner of my flowerbeds, the chives I had separated and planted in a row, trying to create a bordering edge the year before were a riot of blooms, and everything else was green and lush. The garden was getting ready for the height of late June. Early June is a period of time in my Virginia garden that I particularly love, the temperatures are not too hot, however they are warm enough for the summer blooms to begin appearing. It is a magical time of transition. 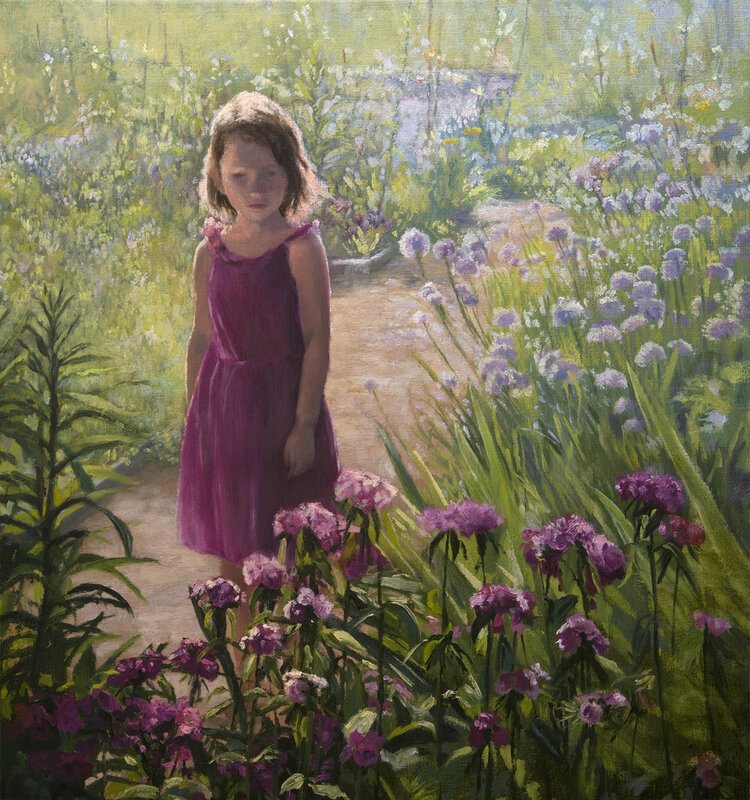 The morning I took the reference photos for this painting, my daughter Naomi was roaming around and in her own little world. The light was bright and was so sparkling. When I took the photos, I could not get the image of her backlit out of my mind. I knew I would paint the scene.